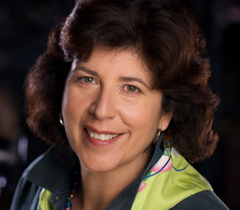 Glimmerglass Festival Artistic & General Director Francesca Zambello has been appointed Artistic Advisor to Washington National Opera (WNO). Zambello will hold this position concurrently with her position at The Glimmerglass Festival, where she was appointed Artistic & General Director last year. As WNO Artistic Advisor, Zambello will offer the company advice and expertise related to opera repertoire, casting and creative teams, working in close collaboration with newly appointed Executive Director Michael L. Mael, Director of Artistic Operations Christina Scheppelmann, WNO Music Director Philippe Auguin and Kennedy Center President Michael M. Kaiser. Zambello is an internationally recognized director of opera and theater, whose productions have been seen at Royal Opera House, Metropolitan Opera, Paris Opera, Teatro alla Scala, on Broadway and more. Her complete Ring Cycle opens in June at San Francisco Opera, where she currently serves as Artistic Advisor. This summer at Glimmerglass, she directs Annie Get Your Gun, starring soprano Deborah Voigt, and A Blizzard On Marblehead Neck, the world-premiere one-act by Jeanine Tesori and Tony Kushner. She returns to San Francisco Opera this fall to direct the world premiere of Heart of a Soldier, and her production of Show Boat opens February 12 at the Lyric Opera of Chicago. The Glimmerglass Festival is a professional, non-profit organization that offers approximately 40 performances of four productions that run in rotation during July and August in Cooperstown, New York. The 2011 Glimmerglass Festival opens with new productions of Bizet’s Carmen and Cherubini’s Medea. Additionally, a double bill of two new operas highlighting American artists features the world-premiere production of A Blizzard On Marblehead Neck, a Glimmerglass-commissioned work by the award-winning team of composer Jeanine Tesori and playwright Tony Kushner, and the professional premiere of John Musto and Mark Campbell’s acclaimed Later the Same Evening. The four operas are joined by Irving Berlin’s Annie Get Your Gun, starring world-renowned soprano Deborah Voigt. The mainstage productions are supplemented by special performances, concerts and lectures throughout the season. Tickets start at just $26 and all youth tickets (ages 6-18) are $10 when accompanied by an adult. Call (607) 547-2255 or visit www.glimmerglass.org for tickets and additional information.